Courtesy of Pacific Sotheby’s Int’l Realty, Eric Iantorno. 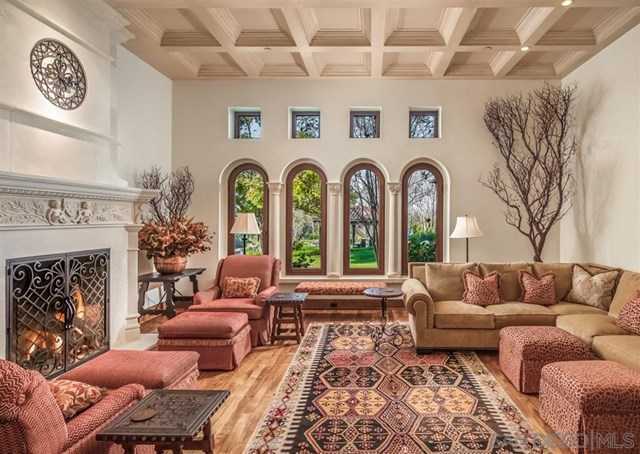 Exquisite single-level estate tucked away in the Rancho Santa Fe Covenant. Fully gated & located on a private spacious lot spanning 2.29 acres, this fully updated masterpiece offers a detached 1 bed/1.5 bath guest house w/ a full kitchen, living room & it’s own private driveway, a resort style pool w/ jacuzzi & expansive outdoor loggia. Designed w/ no expense spared by Tim Wilson Architect & built by Emilio & Sons, this magnificent Southern French Country home is an opportunity not to be missed!